On the First day, Juno let us tagged along as he was touring Tom, a counhsurfer from Poland. We were exploring the city by just walking while bringing our backpacks. I don’t mind walking, I actually love it, but I don’t like bringing heavy stuff. It was a wakeup call to me not to over pack during a trip. Haha. Our tour was fun as Juno is good tour guide. Thanks again Juno. We explored the City on our own on the second day. Since Juno can’t come with us. He was still very kind answering all my questions of what’s-the-best and how-to-get-there. Since Iloilo City is not that big. Most of the time we were just walking. And thanks to Hernan for doing a great job reading the map and being the leader of our escapade. 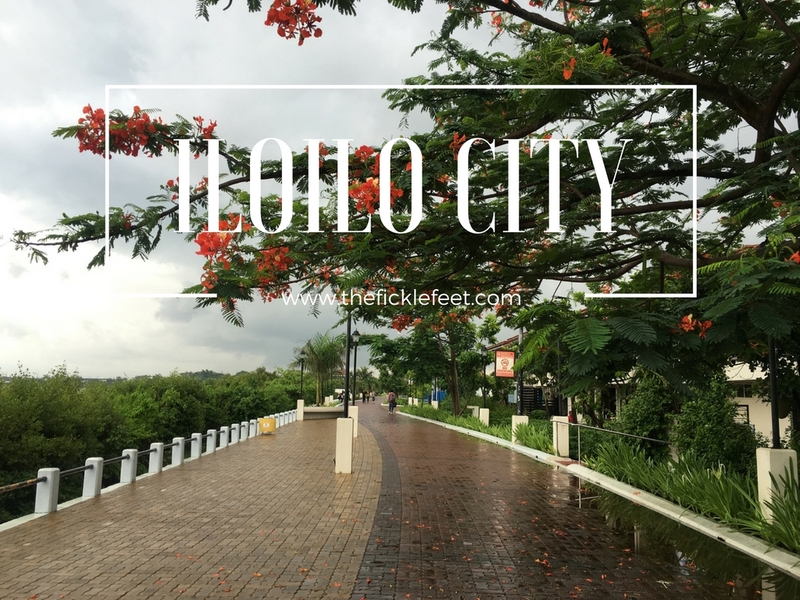 During this trip, I learned that Iloilo City was once called Queen City of the South. This is because of their economic status is bigger than the other city before. The historical structures can testify to that. I’m very happy to learn new things related to the past. This way, my travel is more meaningful. I can- at least a little- understand the present culture because of its history. After my trip, a friend asked me, “What’s in Iloilo?”. I said to her, nothing much, mostly just structures of old houses and churches. I paused a moment after I answered her, I asked myself, If the city offers nothing much, why did I choose to travel there anyway? Then I listed all the places I visited in this historic city and I ended up with tons of places. I’m happy to share these places with you. During our visit, it was kinda raining. But even the weather was not good, the esplanade needs no effort to be appreciated. The place is romantic! Just beside Molo Plaza. It is also known as a Femenist Church. During our visit. The house was under renovation so we weren’t able to tour. Free registration inside. If you like arts, you have to visit! I remember Colon Street in Cebu. The difference is that their old buildings are well maintained and very colorful. 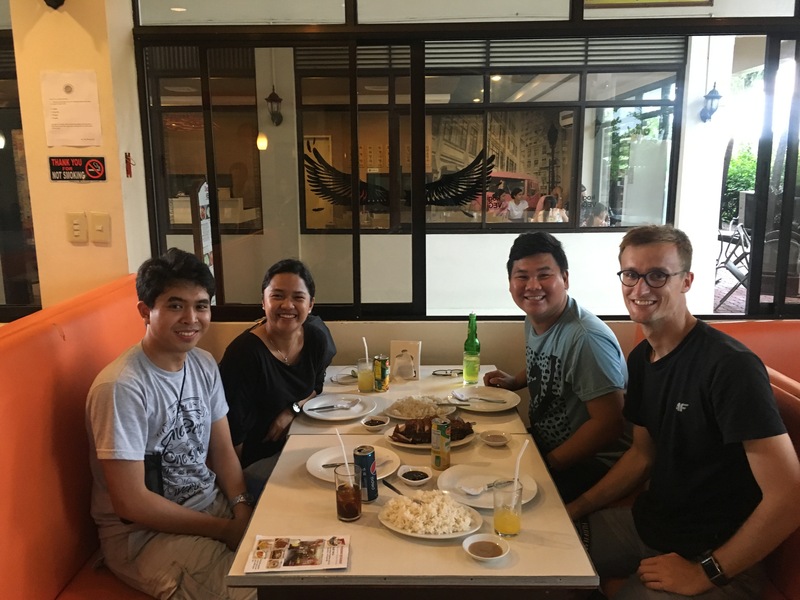 Got to know more about Panay Island and about Iloilo City. Also, they feature an artist here every month. I’m not into noodles but I can’t miss trying the best known delicacy in Ilo-ilo, The La Paz Batchoy. This noodle soup is made with round noodles, pork organs, chicken stock, beef loin, shrimp stock, and garnished with pork cracklings or chicharon. We tried this noodle at Central Market. Tis place is just near the Iloilo Esplanade. You can find good dining here and we had a fancy Dinner wearing my sleeping outfit in Punot Restaurant. Never leave Iloilo without buying pasalubong in here! Have you visited a place that brings you back to the old days? Where? Share your thoughts and comment below! I would love to hear them.